Two Obama-era officials were instrumental in the false flag operation in Alabama ahead of the special election in 2017, reports show. One of the Obama-era officials behind the misinformation campaign in Alabama finally opened up about his group’s role in the caper. Two of the people involved in the social media misinformation campaign in Alabama are denying their roles in the operation, reports indicate. A trove of reports show two Obama-era officials are partially responsible for a misinformation campaign designed to derail Republican Roy Moore’s senatorial campaign in Alabama. Former President Barack Obama campaign organizer, Mikey Dickerson, was instrumental in a disinformation campaign targeting Moore, reports show. He was not alone. Evan Coren, who has worked for the National Archives unit since Obama’s first term, also targeted the Republican’s campaign. Coren, for his part, is a progressive activist who handles classified documents for the Department of Energy. He has not responded to The Daily Caller News Foundation’s request for comment about the nature of the campaign, which was designed to fool conservatives into believing Moore intended to reimpose prohibition. Coren and other operatives created a “Dry Alabama” Facebook page with a blunt message attached: Alcohol is evil and should be prohibited, The New York Times reported Monday, citing sources familiar with the matter. The page included images of car wrecks and ruined families, the report notes. Its contents were targeted at business conservatives who are inclined to oppose prohibition. Two wealthy Virginia donors who wanted to defeat Moore funded the project, according to a person who worked on the project and who spoke on condition of anonymity. 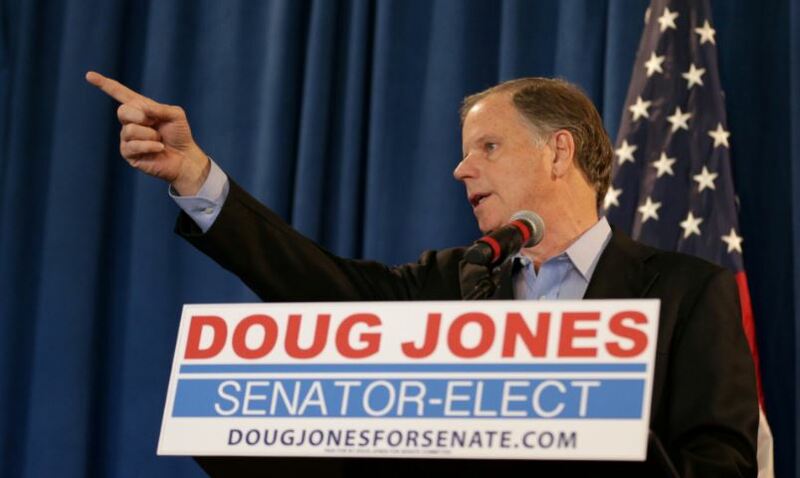 The Dry Alabama project was one of two $100,000 campaigns designed to help Moore’s Democratic opponent, Doug Jones, who barely won the 2017 special election. Jones previously stated his campaign was unaware of the project and is also calling for an investigation into who is behind the antics. Political analysts believe allegations that Moore sexually assaulted underage women three decades earlier likely played a larger part in his loss. Coren’s false flag operation happened alongside a similar campaign by Dickerson, a former Obama official known for fixing the government’s notoriously glitchy Obamacare website. Operatives with New Knowledge, a group affiliated with Dickerson, created thousands of Twitter accounts posing as Russian bots to boost the election-year chances of Jones — the accounts began following Moore’s Twitter account in October 2017. The project created a slew of Facebook accounts as well that were designed to troll conservatives into opposing Moore. “Roy Moore flooded with fake Russian Twitter followers,” read the headline on a New York Post story, which cited the Advertiser. WaPo focused its reporting on the fact that Moore blamed Democrats for the fake accounts. Other major national outlets picked up on the story shortly thereafter, with many pundits mocking Moore for blaming Democratic operatives. The cost of the effort, which was funded by liberal billionaire Reid Hoffman, totaled $100,000 — the identical amount Facebook says the Russian Internet Research Agency spent trolling people on social media leading up to the 2016 presidential election. Dickerson, who has not responded to TheDCNF’s repeated requests for comment about the campaign, finally responded to reporters Monday. “I received the report in early 2018, which is when I first learned about the false flag and write-in tactics,” Dickerson said in a press statement, referring to a 12-page report from New Knowledge detailing crucial elements of the project. Jonathon Morgan, head of New Knowledge, denies knowledge of most of the activities described in the Project Birmingham document. He also denies Dickerson’s claim that New Knowledge authored the report.